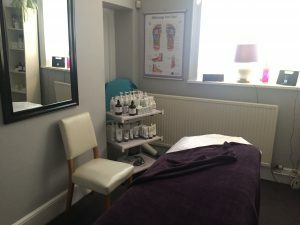 Cheltenham Reflexology and Massage and Cheltenham School of Complementary Therapy & Beauty are based in an incredible historic building in central Cheltenham, Gloucestershire. 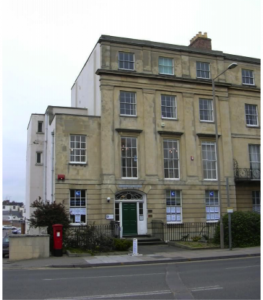 We have training rooms and treatment rooms, spread over two floors, with access to a kitchen and toilets. We do not use all of our rooms all of the time and so rent out space to other therapists, yoga instructors and other trainers. Much of our equipment can be moved, from room to room, making our spaces versatile. This includes chairs ideal for counselling and table and chairs for training or meetings. Our location is central and within a short distance of car parks. Our therapy rooms can be rented on an adhoc or re-occurring basis. Student therapists on accredited courses can rent a treatment room for a reduced rate. Our Mandarin room is light and airy and has been rented by Yoga therapists, Pilates instructors, meeting facilitators and training providers. 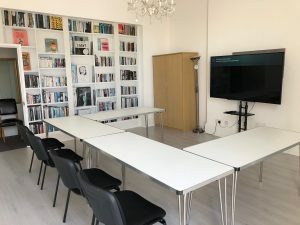 If you are looking for a meeting space, with tea and coffee or a quiet training space or relaxation space, this could be for you. 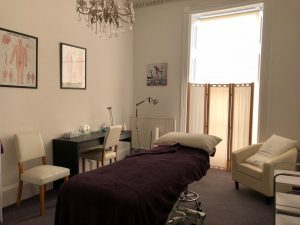 The Jasmine Room is ideal as a rental space for a beauty therapist, acupuncturist, chiropractor or other therapist. 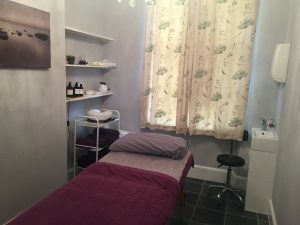 This is our only downstairs treatment room available for rent. We have this one especially for people who may find stairs (to the other therapy rooms) difficult. The Sandalwood room is a lovely double-sized room. It is light and airy and is currently set up with one treatment couch in the middle and a desk at the side. This room is currently available for approximately half of a week. The Olive room is occasionally available. It is a lovely warm space.